Being charged with Centrelink fraud can be a distressing experience, especially when it has the potential to negatively impact your personal financial situation. However, with the assistance of our expert lawyers, you may be able to easily resolve Centrelink matters at an early stage without even going to court. Even if you do end up going to court, our experienced criminal lawyers can help you persuade the court to deal with the matter leniently by way of a section 10 dismissal or conditional release order – where you are found guilty of the offence, but no conviction is recorded on your criminal record. There are many different forms of Centrelink fraud, including failing to report your income, reporting incorrect earnings, failing to report a change in circumstances and incorrectly declaring a relationship in order to derive extra benefits. However, every case of Centrelink fraud shares common elements. The information provided below deals broadly with Centrelink offences in general. From time to time we all make mistakes; however it can come as a shock to receive a ‘Notice of Overpayment’ from Centrelink, or a ‘Court Attendance Notice’ from the Commonwealth Director of Public Prosecutions for mistakenly reporting incorrect circumstances or income to Centrelink. In other cases, Centrelink or the Department of Public Prosecutions may make a mistake by erroneously beginning proceedings against you in relation to alleged Centrelink fraud. In these cases, you can choose to plead ‘not guilty’ and fight the charges. This means that in cases where you made an innocent mistake and received a payment or benefit that you otherwise would not have received, you will be found ‘not guilty’ of Centrelink fraud. Our criminal defence team regularly represents clients in Centrelink fraud matters and can advise you of the steps you can take to protect your innocence. Unlike other lawyers who may urge you to defend the matter in court, we always strive to have the charges dropped before a court date by writing to the prosecution and raising any issues with their case. This means that many of our clients are spared the expense and inconvenience of attending court to fight the charges. Should the prosecution refuse to drop the charges, we can assist you by presenting your side of the story in court, along with any evidence to show that your actions were unintentional. If you agree to the charges against you, you can elect to plead ‘guilty.’ You will then proceed straight to sentencing, which is where the court determines the penalty that you will receive. In some cases, it may be beneficial for you to plead guilty to the charges as soon as possible, as it can result in a more favourable outcome in your case. This is because pleading guilty at an early stage in the proceedings will show the court that you are sorry for your actions. If you’re thinking about pleading guilty to your Centrelink matter, you may be wondering what kind of penalties you could face. Although the maximum penalty is 12 months imprisonment, our persuasive advocates frequently obtain ‘non conviction orders’ for our clients in these matters. This means that you will be found guilty of the offence; however there will not be any charges recorded on your criminal record. Generally, the court will also order you to repay the debt, however our lawyers can ask Centrelink to waive or write off the charges where you are suffering from severe financial hardship, or where the person who is the subject of the debt has passed away. What are the stages in a Centrelink Prosecution? Notice of Overpayment: This is the first stage in any matter involving a Centrelink overpayment. Centrelink will send you a letter stating that you have been received some benefit or payment that you are not entitled to. You will generally be asked to pay the money back within 28 days; however, if you are experiencing financial hardship, you may be able to arrange to repay the amount over a longer period of time. Alternatively, you can arrange for Centrelink to deduct amounts from your regular payments to repay the debt. They may also deduct money from your bank account. However, even if you repay the debt immediately, Centrelink may still begin an investigation against you where they believe that you have acted fraudulently. 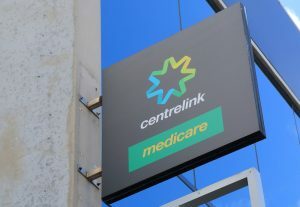 Investigation: If you’ve received a substantial overpayment, or where Centrelink believes that you intentionally committed fraud, it may begin an investigation into the matter. This may occur even if you respond to the Notice of Repayment by repaying the money. Centrelink has broad powers to obtain information about you from various sources, such as your employer, your bank and the Tax Office, however they will not be able to obtain money from your lawyer. Interview: If you are being investigated by Centrelink, they may ask you to attend an interview to ask questions to determine whether you have acted fraudulently. Because these types of questions may incriminate you, it’s important to seek advice from a lawyer before taking part in a Centrelink interview. Whether or not you decide to take part in an interview, Centrelink may pass your matter to the Commonwealth Director of Public Prosecutions to charge you with a criminal offence. Prosecution by the Commonwealth Director of Public Prosecutions: If Centrelink decides to pass your matter to the Commonwealth Director of Public Prosecutions, they may decide to begin criminal proceedings against you. You will receive a Court Attendance Notice asking you to attend court to respond to the charges. 12 Reasons to Choose Sydney Criminal Lawyers® Centrelink to Amend its Flawed Debt Recovery Process Cases That Fall Under the Legal Definition of Fraud in NSW Recent Centrelink Fraud Cases Can I Change Paying My Centrelink Debt to Community Service?